Path is a mind game, designed and conceived by Asimina Brouzou which helps the player understand space and how obstacles (stable or moveable) may affect it. The game may be played by 2-4 players. Each player moves his marble pawn along the squares of the board and needs to overcome the wooden obstacles in order to reach all 3 marble exhibits. 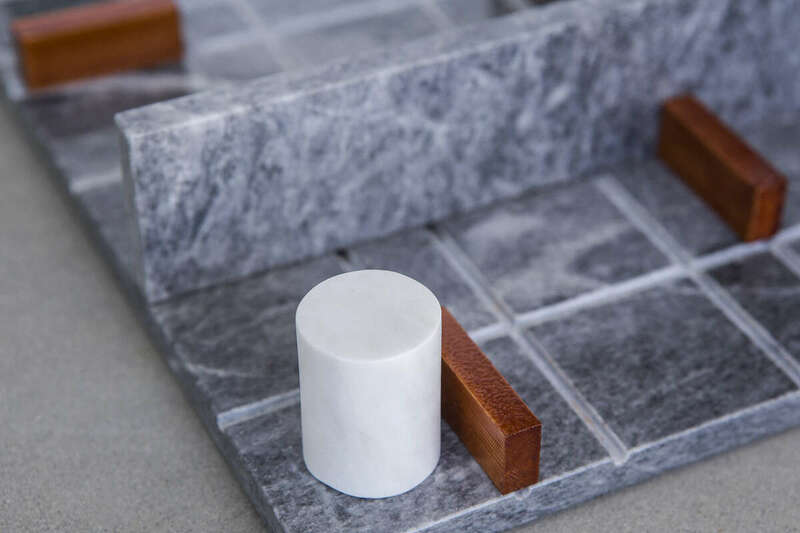 The game consists of: a 30x30cm Evia Grey marble board, 8 movable wooden pieces, 3 cylindrical Thasos White marble exhibits, 4 marble pawns, written rules on how to play. For tips on how to take care of the product, click on the cross at the end of the page.